We are a new group who meet every Wednesday between 10 and 12 midday in the Drysdale room. Please enter by the side door of Church. Everyone is welcome to join us for coffee (or tea of course) and to share our chat. Our ongoing group projects vary and those wishing to join them are welcome. Sheila and Valerie are both qualified and work voluntarily under the umbrella of Age UK. We practice low impact aerobics, Chi Gong stretching and relaxation. The classes are lively, fun, and friendly. Refreshments are provided at the end of the session. Classes are on Monday 10.30 to 11.30 am and 3 to 4 pm £2.50 per session. We welcome ladies and gentlemen. For further information please contact Valerie MacAlister. 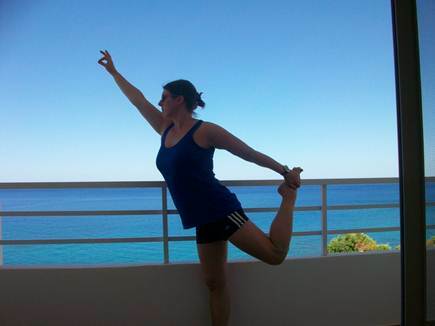 A NEW, friendly and welcoming yoga class taught by Newcastle’s Karen Bell is now on every Monday from 1pm-2.30pm. It is a friendly class, suitable for all abilities and ages, led by an experienced teacher - trained by the British Wheel of Yoga and a regular on the North of England festival circuit. These classes will improve your posture and strength, release tension in the body and improve breathing. We always finish the class with some nice relaxation time or ‘Yoga Nidra’. These classes cost £45 for a block of five sessions or £10 drop-in - but you can come and try for just £5 on your first visit and see if you enjoy it. Lunchtime concerts take place approximately monthly throughout Autumn, Winter and Spring on Wednesday Lunchtimes; details of dates can be found in the diary. 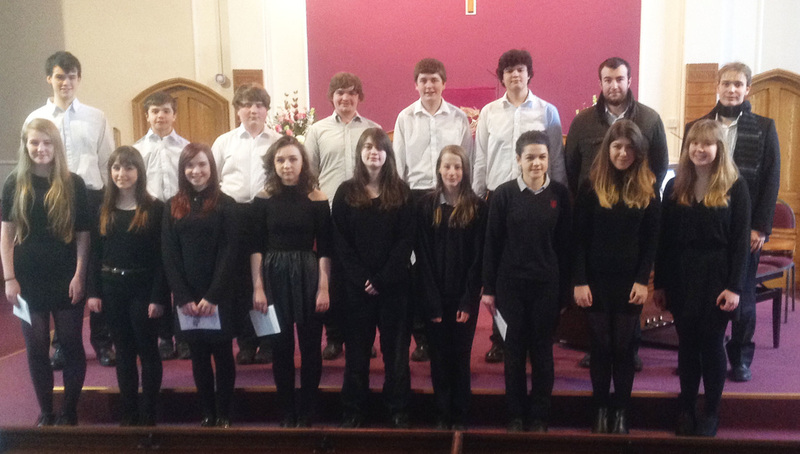 Concerts normally begin at 12.30pm and take place in the main church. Tickets are £3.00 for each concert or £10.00 for four concerts. The music includes instrumental, chamber music, organ and choral, and covers a wide range of classical, jazz and modern repertoire. Tea, coffee and biscuits are normally available from noon and all are welcome. Please contact Gillian Irvine for further information. St George’s Community Players was founded in 1929 and presents 2 plays each year – in March and November – each for 3 nights. 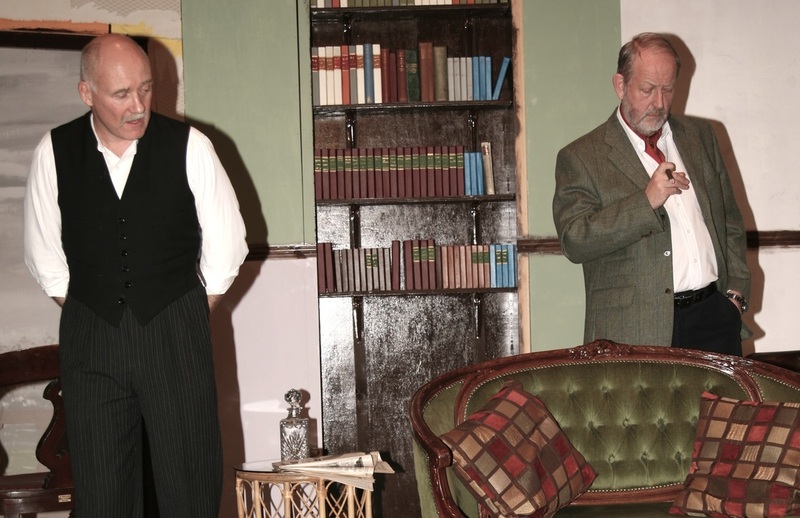 Our venue is the Church Hall with a capacity of about 120 and in addition to murder mysteries (often "in house" efforts) and comedies, we stage frequent serious dramas, including “A Man for All Seasons”, “The Crucible “ and the like. In 2014 we presented “Oh What a Lovely War” with a cast of 25-30 people and in 2016 we plan to re-stage a musical play written specifically for us, entitled “Crusader” – the story of Ellen Wilkinson who was MP for Jarrow at the time of the Jarrow March in 1936. We first performed this in 2001 and were subsequently asked to stage it at The Customs House in North Shields, a privilege normally reserved for professional companies. 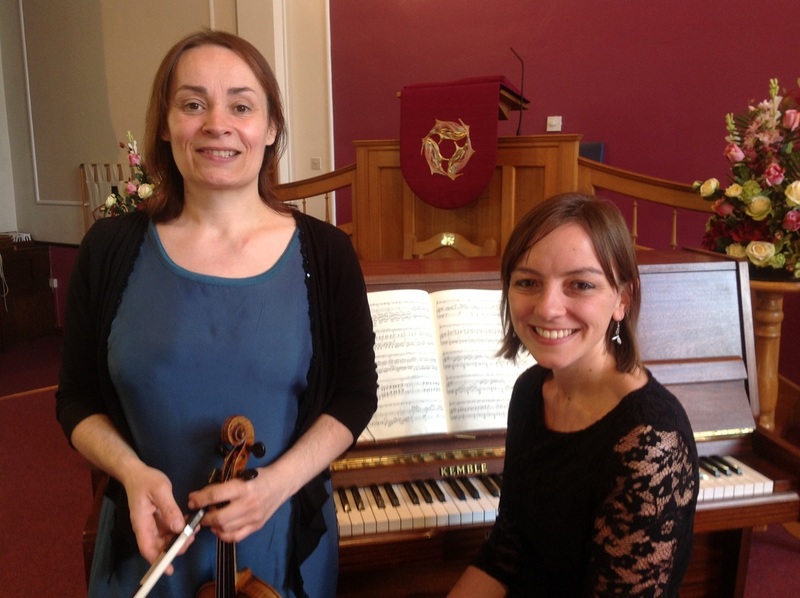 In addition to our main performances at the Church, we also usually have a presence at both the annual “Picnic in the Park” and “Morpeth Fair” events. 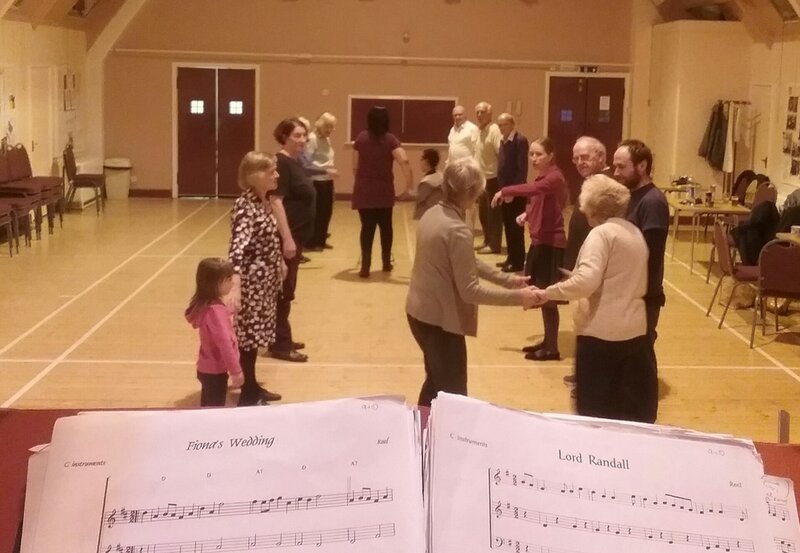 We are a friendly and welcoming Society of around 30-35 members and we rehearse twice weekly – Monday and Thursday evenings – in the 10 weeks or so run-up to a show. 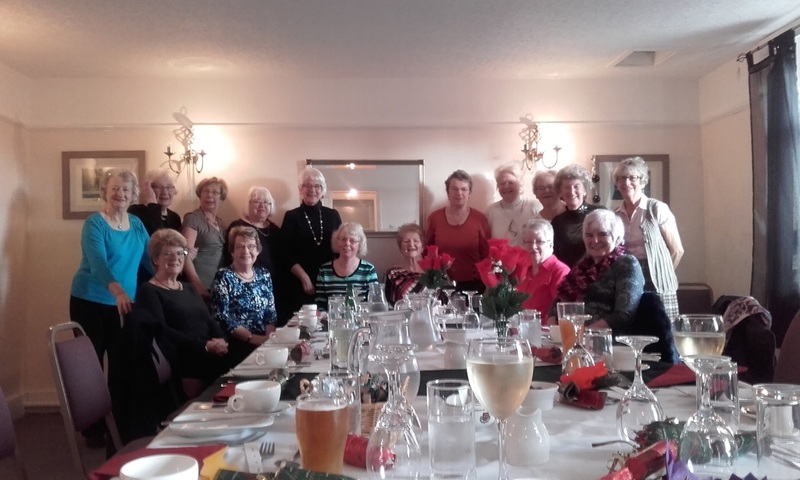 We also have a varied programme of social events including play readings, members’ nights, theatre visits and Summer and Christmas meals. Last year we had fascinating back-stage tours of both The Theatre Royal and the Tyne Theatre. We are very happy to recruit new members - as actors, set-builders, back-stage help, FOH help and so on. If you are interested, please contact our Secretary, Heather Robinson (01670 812870). The Church presents and annual musical extravaganza, usually between Harvest time and Christmas. This year we present "Haddaway Hadrian", a "musical" based (very loosely indeed) on the arrival of the Romans in Morpeth in the first century AD and the subsequent reactions of the natives - such as they were at the time. From the opening scene set in the Market Place, the action centres on the construction of the wall and the innumerable obstacles faced by the Romans as they attempt to deal with local laws, planning issues and general obstructiveness on the part of the natives. 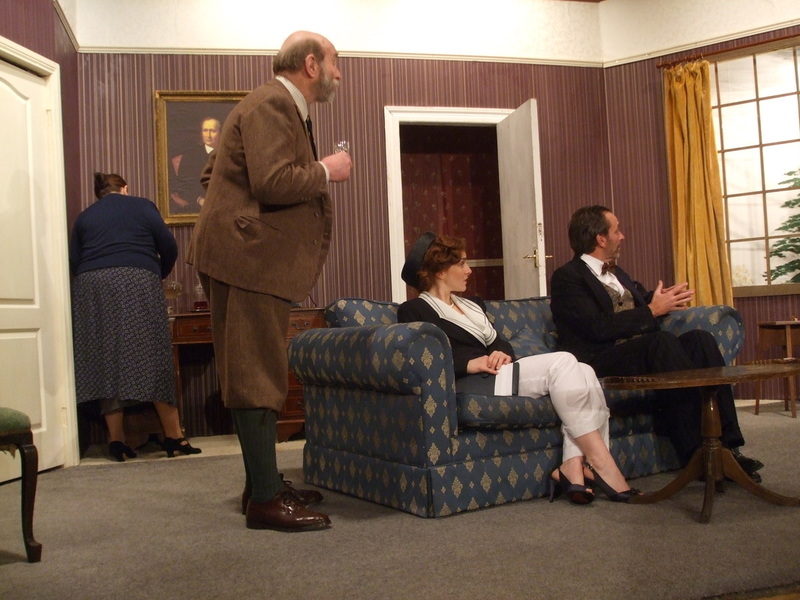 Half way through the play, we break for dinner (included in the price of £11.00) and there is also a raffle with some excellent prizes and a cash bar. Tickets from Christine Oakes (01670 518608). We play all year round on Thursday evenings at 7.30 pm. We currently have only 8 or 9 regular players, so occasionally have to cancel evenings when circumstances reduce our numbers too far. So if you already know how to play and would like to re-start, or you know anyone else who would be interested, please contact Margaret or Jared Johnson. It is a fun evening and is only £1 per session – surplus funds are donated to the church each year (£150 in 2015). You don’t need to bring anyone with you; we will always provide you with a partner and opponents (and these are constantly switched around). The Table Tennis Club is now well-established (Easter 2019) with about 10-12 “regulars” attending. We all have great fun playing (and also enjoy what seems to have become a “mandatory coffee- break” at around 11 am!). Sessions are held on most Saturday mornings throughout the year from 10am – noon and we charge just £1 per session (children half-price). Despite this very modest charge we managed to give £300 to church funds during 2018. The Club was originally set up for church members (and their families). Since we have 2 tables, we could easily accommodate a few more players without folk having to sit-out for very long between games (as we tend to just play the best of 3 sets at a time – up to only 11 points – so the games are pretty quick!). Please contact Jared Johnson for more details. These are a series of monthly talks that have now been running for 7 years and that take place from January – May and September – November at 2.30 on Thursdays in the church Hall. They were originally envisaged as social, rather than fund-raising events, but any profits that do accrue are very largely donated to church funds. To date we have given the church £3765 plus a further contribution of £560 towards equipment and £210 to two other selected charities. We meet monthly, from 7.30 – approx 9.45 pm, on Saturday nights during September – May (except December). 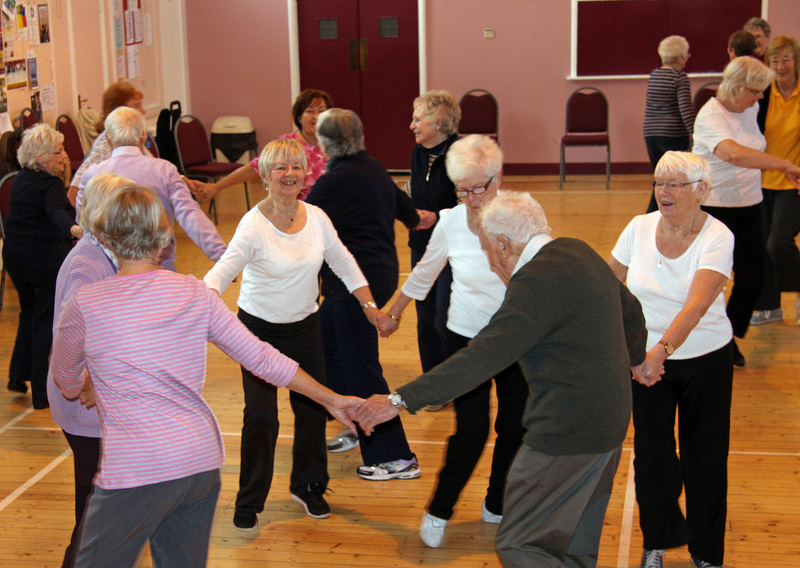 It is suitable for all ages (we currently have an age range of about 3 – 80+ year old!) and no previous experience is necessary – all dances are walked-through in advance and “called” during performances. It is a “fun” social evening – nobody (including the caller!) takes it too seriously – if we start and end a dance together we consider it to be a success, irrespective of what might happen in the middle! We are very fortunate to have our own Ceilidh Band – “sgurc” - a bunch of talented players whose members play whenever they are available – this often results in a band that might contain trombonists and tuba players, as well as the more “traditional” ceilidh band instruments! – but this is all part of the fun! It costs only £1.50 per session and children come along FREE! Surplus money is donated annually to the church (£150 last year). Bring along your own refreshment and nibbles. Our only stipulation is: NO STILETTO HEELS PLEASE! 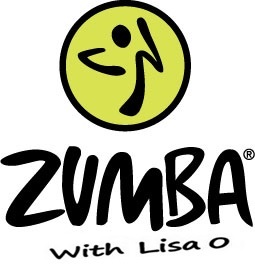 Over 15 million people are taking a Zumba® class around the world – why not join in the fun? 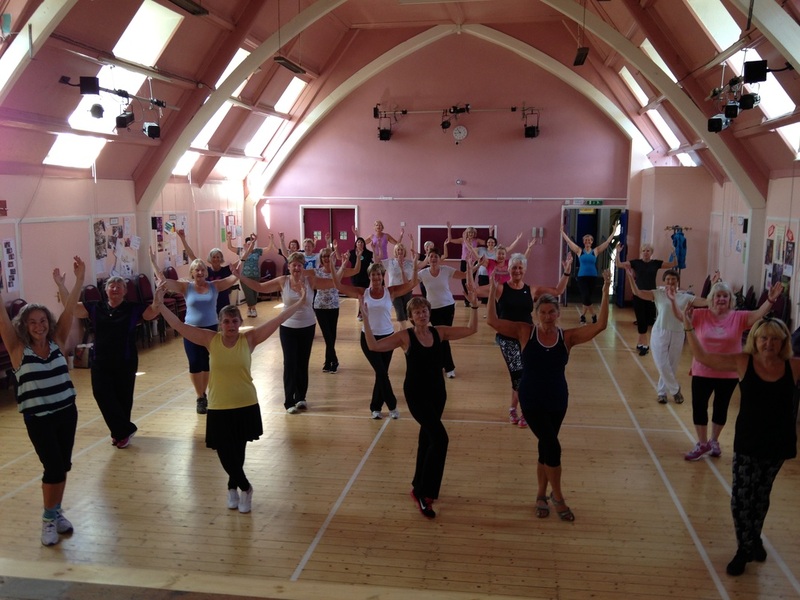 The Zumba® classes at St George’s URC are perfect for everybody and EVERY body! 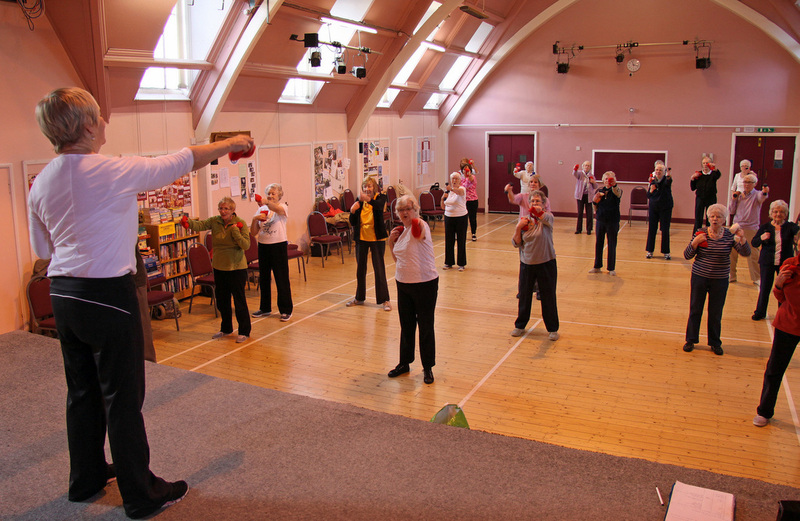 Our dance fitness classes are friendly and fun and often described as exercise in disguise. Let the Latin and World rhythms transport you around the world. Classes focus on all elements of fitness including cardiovascular, muscular conditioning, flexibility and balance. 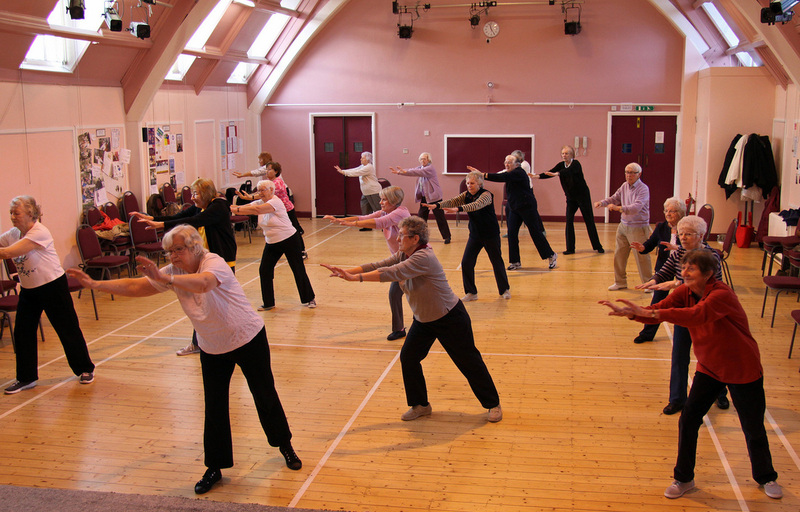 The classes start at 10.00am each Friday morning. No previous experience necessary; all age ranges and abilities welcome (our current participant age range varies from 32 to 86 years of age). Men also welcome! Wear comfortable clothing and don’t forget to bring water! We're not so much a class or meditation course as such, more a forum or held space for people who find a regular shared silent slot helps the work of establishing and sustaining a meditation practice. Having said which, people come with no prior experience of meditation in any form, so we usually play guided meditations and short reflections downloaded from the web to help orient beginners, and to refresh non-beginners' understanding of first principles. They're usually from teachers within the Theravada Buddhist tradition, specifically the Thai Forest tributary of the Theravada tradition, in which mindfulness of the body and mindfulness of breathing are core practices for settling and collecting the mind in a present moment awareness - much as they're core practices in the current secular vogue for Mindfulness. We have an affiliation with Harnham Buddhist Monastery; some of us car share over for the Study and Practice afternoons and occasionally for Sunday evening pujas. From time to time we have teaching visits from bhikkhus and lay meditation teachers, when we extend our meetings to two hours. The monastery's website is a useful starting place if you're unfamiliar with the tradition, with teachings in audio or written format available free. And this is a succinct little primer of the sort of thing we're trying to do. There's no charge for attending, though contributions towards the £10 room hire fee are welcome. We should add that we're very grateful to St George's for the forward-looking, multi-faith inclusivity that's enabled us to get up and running. 'Guiding is lots of fun because you get to go on lots of trips and you meet your friends every week at the unit.' Guides try adventure sports, put on performances, travel and run their own community action projects. And whether you're a film-lover or an outdoor cook, you can show how much you've learned by working towards interest badges. You can also gain Challenge badges that build towards the Baden-Powell Challenge Award. But what you do is up to you - in groups called Patrols, you'll pick the badges and activities that interest you, and get the support to make them happen. Guides take on five types of challenge, and choose what they want to do for each. Global awareness – how about organising an international evening for your unit, or planning a Fairtrade cookout? Discovery of new experiences and challenges – fancy spending the night in a shelter you built yourself? Life after Guides: At 14, you can join The Senior Section and gain skills that look brilliant on a CV, travel abroad through guiding, or give something back by leading or mentoring younger girls. After all, you'll have learned a lot to pass on! If you are aged between 14 and 26 and would like to know more or come along and join us on a Tuesday evening, term time only, from 7.00 pm until 8.30 pm, then please contact Liz Kelly on 077 1448 1089 or email liz.kelly@jcpce.com. 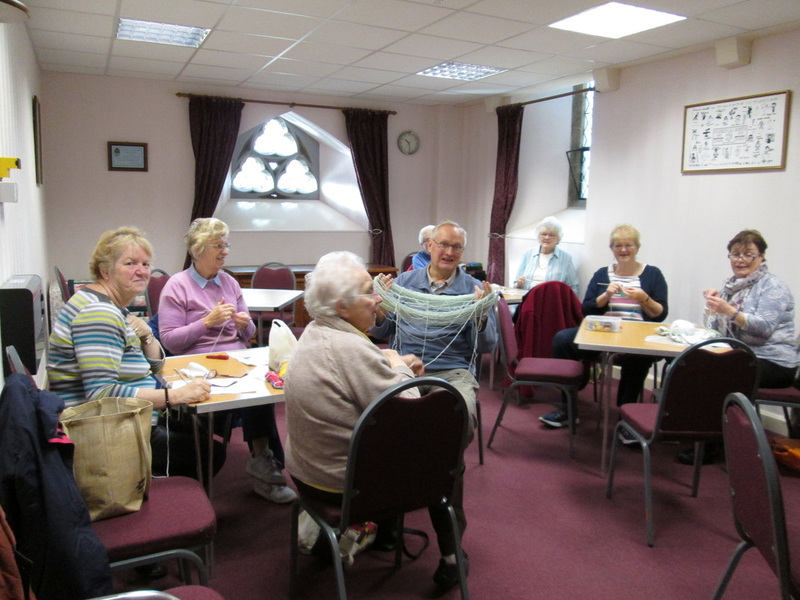 Members of The Senior Section follow the Look Wider programme, developing new skills and improve existing ones through eight 'octants'. What you do for each of the eight 'octants' is up to you – these are just a few suggestions. Creativity – from fashion to drama or web design! Out of doors – maybe you’d like to try off-road driving, or improve your landscape photography?